Boil water for the farfalle in a large pot. 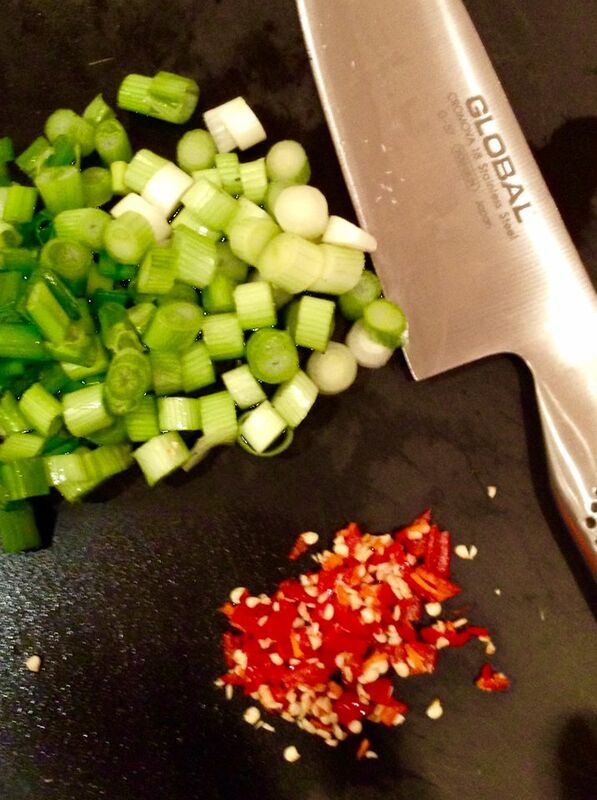 Chop the red chillis and slice the spring onions. Put aside. 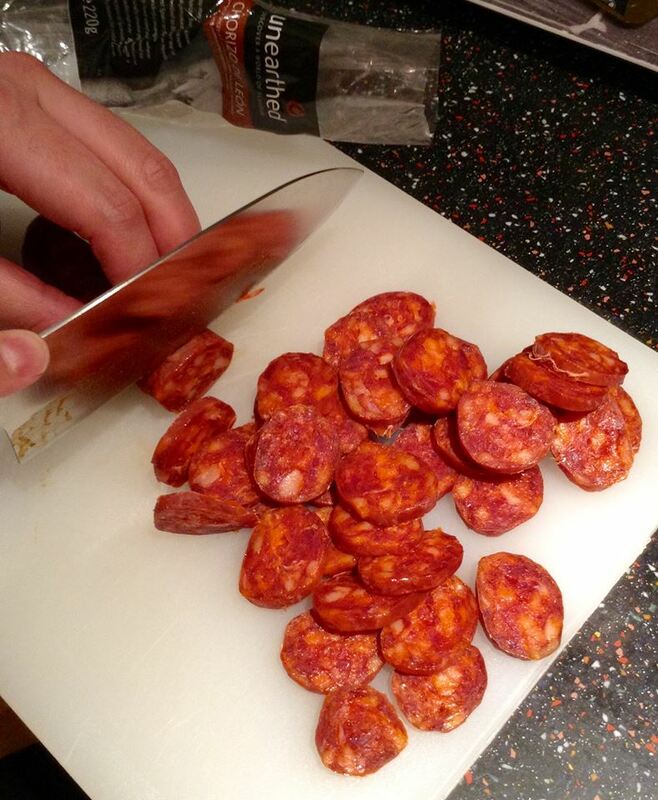 Slice the chorizo. You don’t have to use all of the 220g if you prefer less chorizo in your dish. You can add half or 3/4 of it. 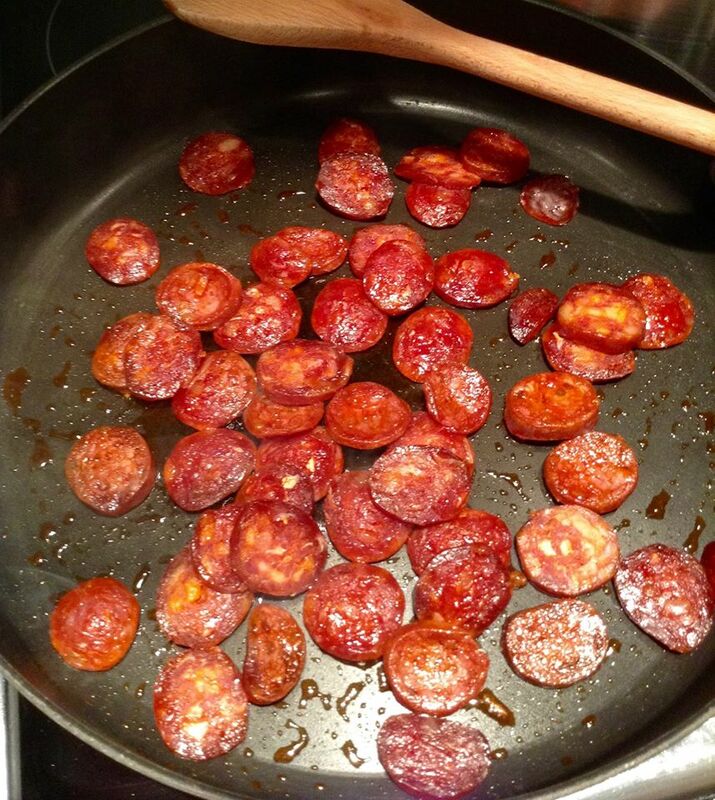 While waiting for the water to boil, add the chorizo to a large non-stick skillet. Cook over high heat for a few minutes. The trick here is to release the chorizo’s natural oils. These are full of flavour. Put the cooked chorizo in a bowl for the time being. 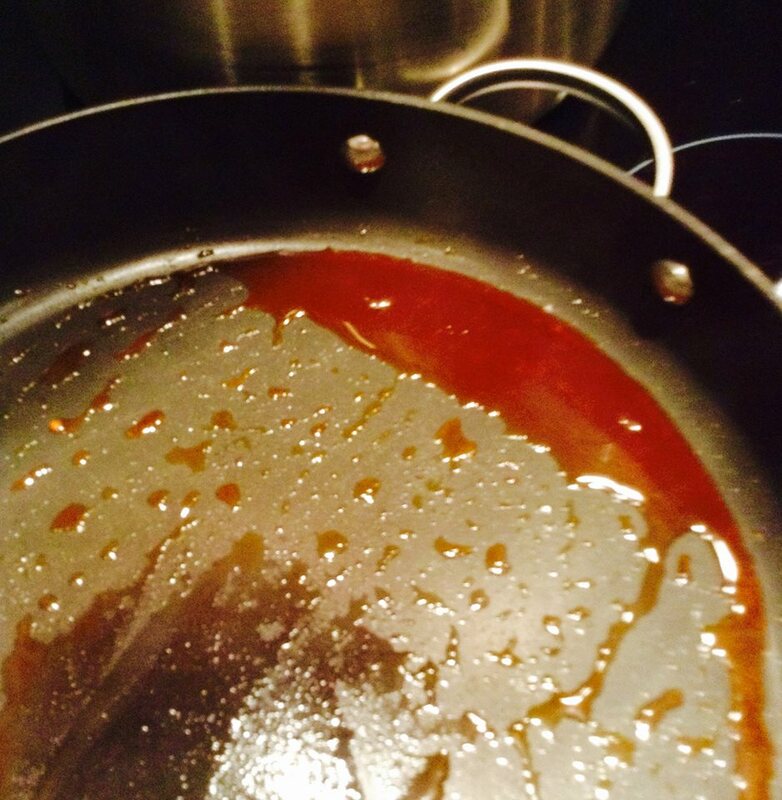 Make sure you keep the chorizo oil in the skillet. The water should be at a rolling boil by now. 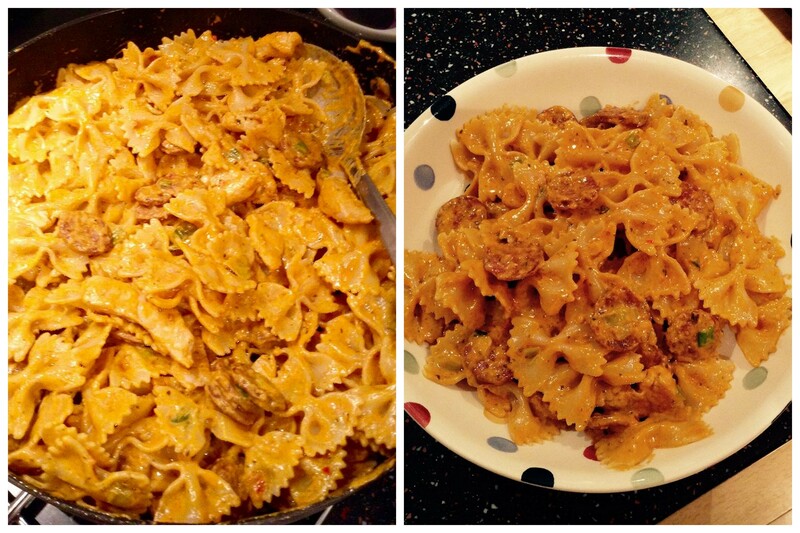 Add 500g farfalle and cook as per package directions. 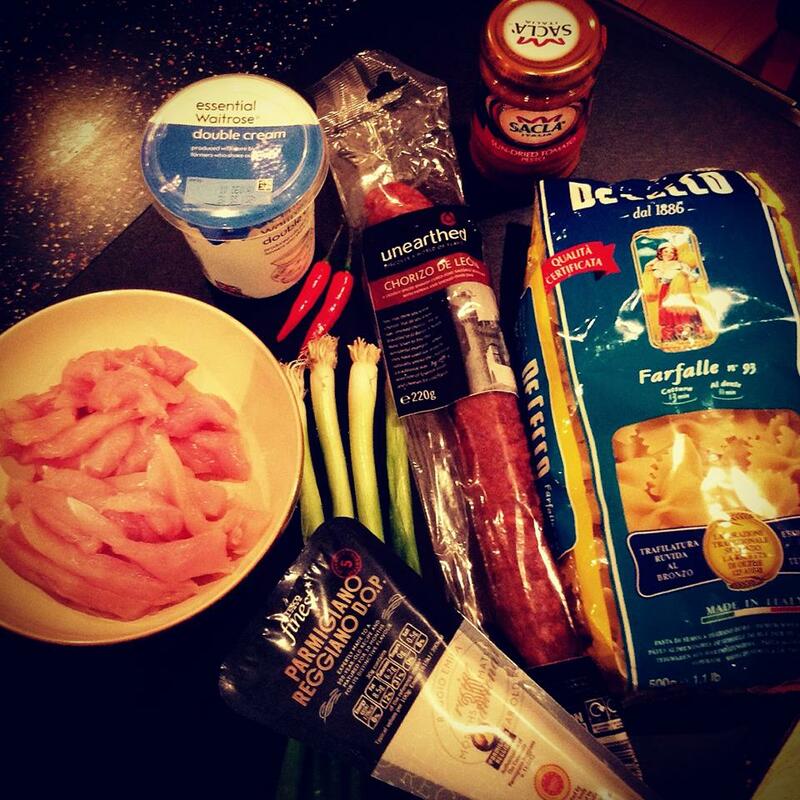 Add the chicken strips and cook in the chorizo oil. If the skillet gets dry, add some olive oil. 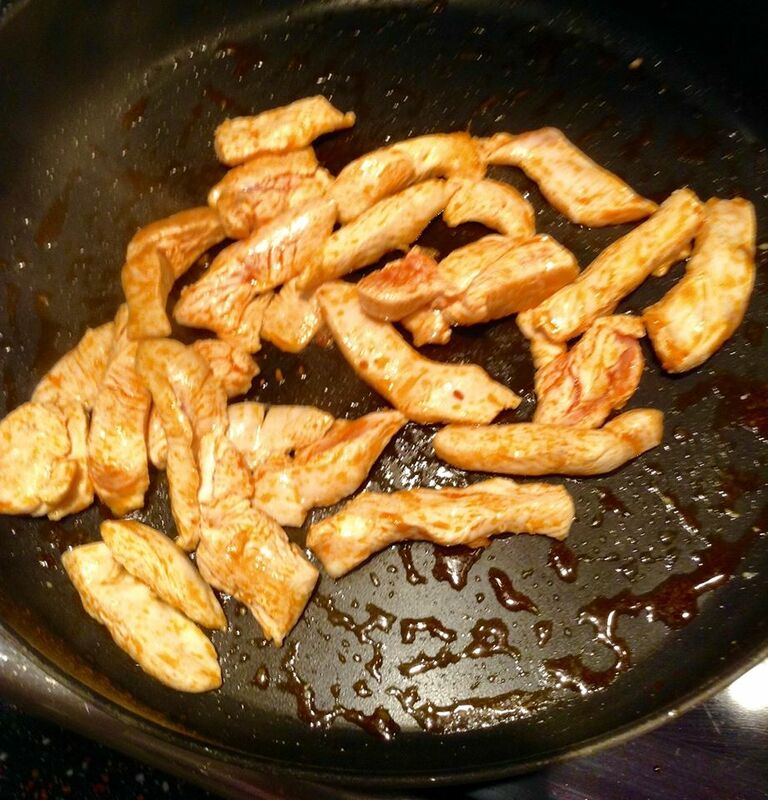 Cook the chicken strips until they are lightly browned. Put the chorizo back into the skillet and add the chillis and spring onions. 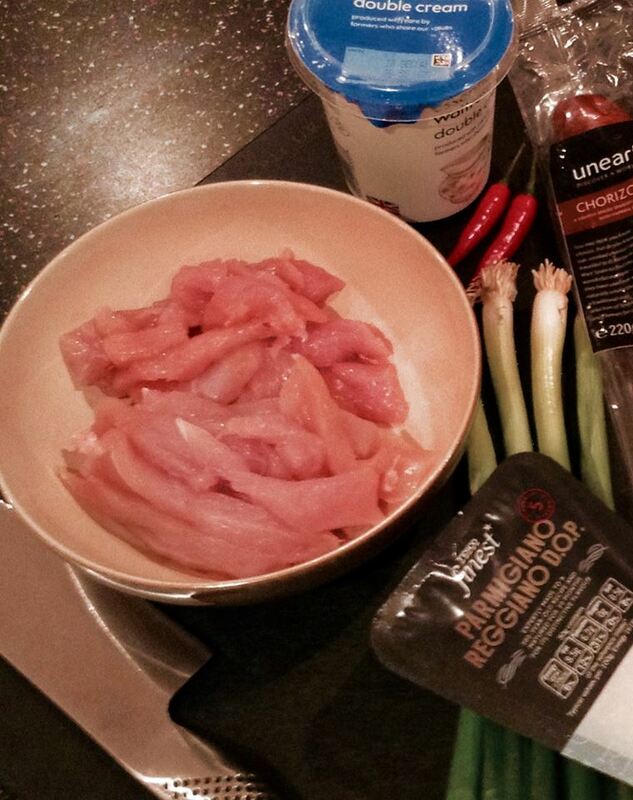 Continue cooking and stirring all of the ingredients until the chicken is no longer pink inside. Stir in the sun-dried tomato pesto and double cream. 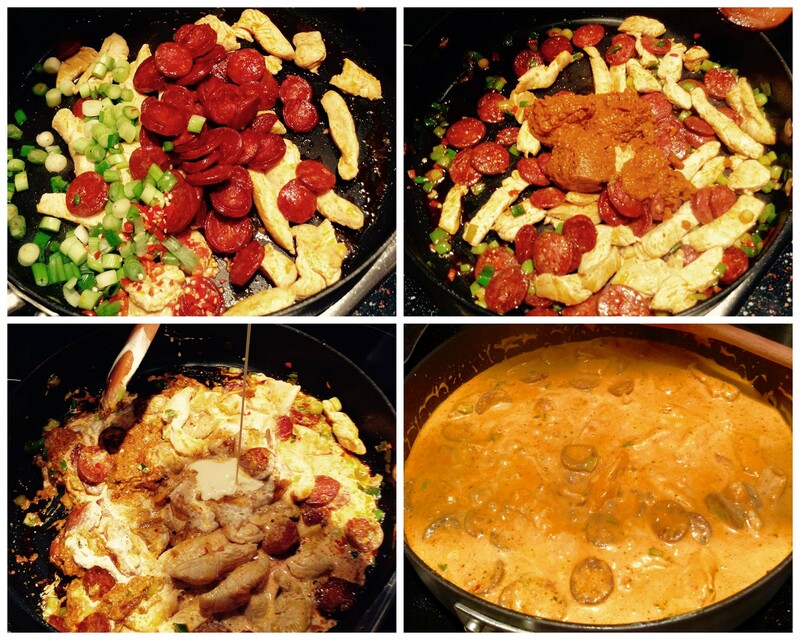 Cook for 5 minutes until chicken is tender and sauce has thickened slightly. 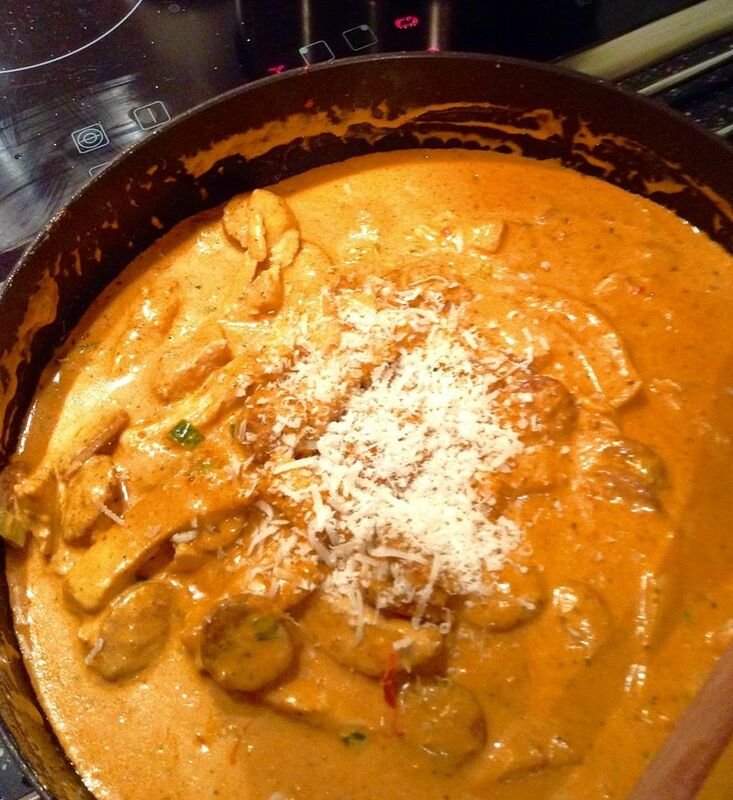 Remove from heat and grate 1/4 cup Parmesan over the sauce. Stir until the cheese melts into the sauce. Drain the pasta once it is cooked al dente. Add the farfalle to the sauce in the skillet. Toss pasta until the cream sauce coats the farfalle, about 30 seconds. Serve immediately. Grate more Parmesan on top, if desired. Makes 4 servings. (Leftovers can be reheated in the microwave). Enjoy! 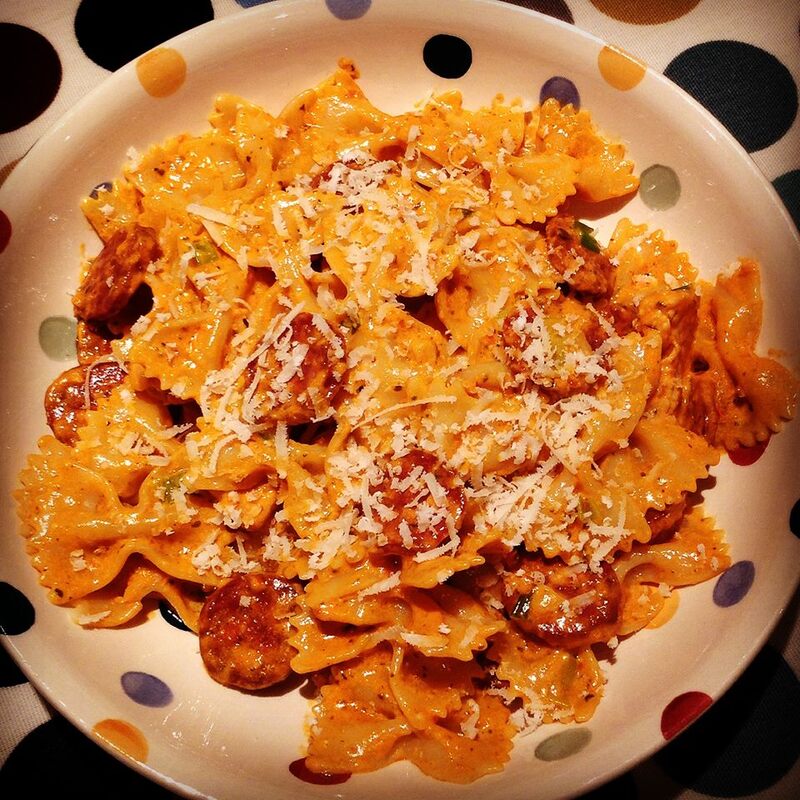 This entry was posted in Our Kitchen and tagged chicken, chilli, chorizo, Chorizo de Leon, farfalle, sun-dried tomato pesto, Unearthed by One Two Culinary Stew. Bookmark the permalink.